LOTEO Airdrop Round 2 is live! 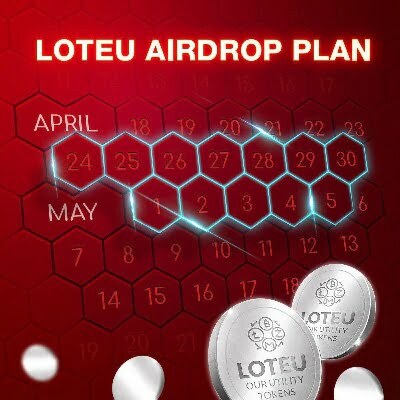 LOTEO Airdrop is worth 400 LOTEU tokens (~$ 40). Sign up & verify your mail. Go to the LOTEO Airdrop page. Submit your name & mail, same you used at step 1, and click on ”Continue”. After you complete the tasks, ”Claim” will be visible. Click on ”Claim” and complete the other tasks. After completing at least 7 tasks, you will earn 400 LOTEO tokens. Tokens will be distributed in the LOTEO platform, estimated in May.